Your 1919 nickel value is part of the higher priced early dates. 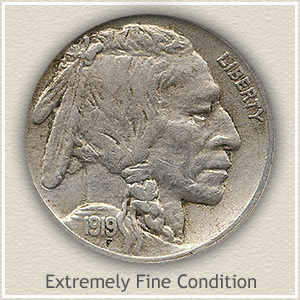 A well circulated 1919 Buffalo nickel is worth close to $1.60. The branch mint issue 1919 buffalo nickels are rather elusive, any you find has good value. These old nickels were minted at three different locations, each valued separately, with the Denver mint coin as the standout piece. Next, how much wear and abuse your coin has endured plays an important role in the 1919 nickel value. Examine each carefully, how well the coin has survived determines how much it is worth. The "uncirculated" example pictured and is high on the want lists of collectors and rare coin dealers. 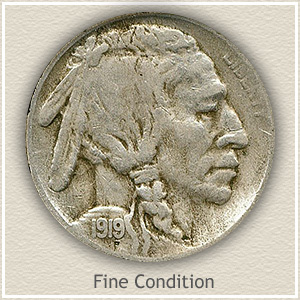 With a respectable starting value the 1919 Buffalo nickel is a nice little treasure to find in your box of old coins. Buffalo nickels in 1919 were produced by three mints. 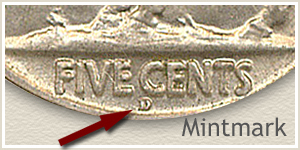 Mintmarks placed on the reverse of the coins identify the mint of origin. The value chart separates the listings of "S" for San Francisco and "D" for Denver. No mintmark indicates the main mint in Philadelphia. Key to receiving the best price when selling coins is your research and preparation towards understanding an accurate value of your coins. Take your time. 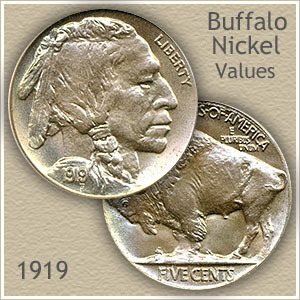 The long term trend of prices is up, Buffalo nickels are very popular with large collector interest and strong demand. Other highly collectible, and possibly in your box of old coins, are Lincoln pennies, especially the early years through the 1930's. Also Indian cents, Mercury dimes, Walking Liberty and Franklin Halves. Any US quarter minted before 1965 is made of silver and valuable. Examine all, comparing them to the different value charts for each series and you can quickly spot valuable date and mintmark combinations. Next, it does take a little time reviewing the "Grading Images" but the difference in value because of condition is often surprising. It is this combination of judging condition and value charts that leads to an accurate value. Prepare well and you avoid under valuing truly rare coins and can now sell with a solid expectation of price. 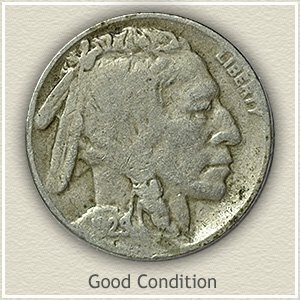 To complete your value investigation is judging the condition of your buffalo nickel and determine its grade. As highlighted by the chart a difference in "Grade" produces a large swing in the 1919 nickel value. 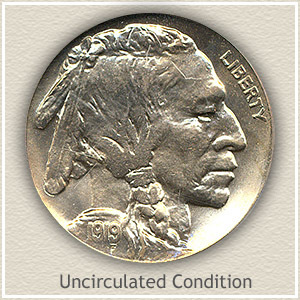 Fine: Also a collectable grade for a 1919 nickel, the coin has a pleasing but worn appearance. A full bold date with legends separated from the rims, increases this grade from a lesser one. Design details are visible on both the Buffalo and Indian. Good: The bold design is still evident on a nickel in this condition. It is the appealing trait of the series. The date and rims are the clues to the grade, rims worn into the legends and an almost smooth date are what keep this coin from a higher grade. Including more relating to your 1919 nickel value. Easily find how much your old coins are worth. 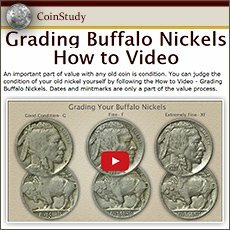 Coin Values Discovery... finds the 1919 nickel value and... all old US coin values. It links to all coin series, from Cents to Gold. Value charts, images to judge the all important condition of coins, and a guide to getting the best deal if selling coins.